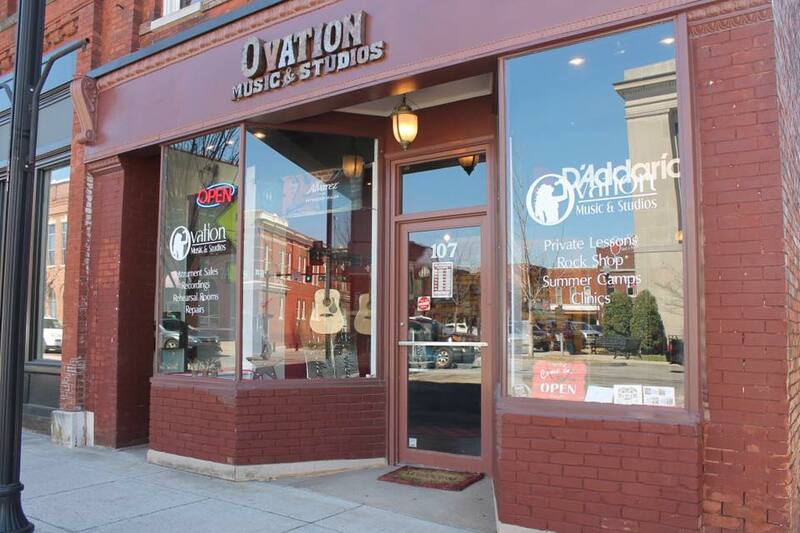 Welcome to Ovation Music and Studios, your #1 source for Private Music Lessons, Instrument Sales, Service and more! On the Square! Our friendly staff and knowledgeable teachers have been proudly servicing professional and novice musicians for many years and we are bringing that experience now to Gallatin, TN. We cater to all ages, styles, and levels of experience while providing a large variety of instruments to choose from. At our learning facilities, we offer Private One-on-One Music Lessons, Musical Instrument Sales, Rentals & Repairs, our Rock Shop program where we make "YOU" the star, Summer Camp for kids, Rehearsal Studios for bands or individuals and Professional Digital Recording. Visit our friendly and artistic staff at Ovation Music and Studios and Experience the Difference! Transforming Lives through Excellence in Music Education, Creation, and Performance!